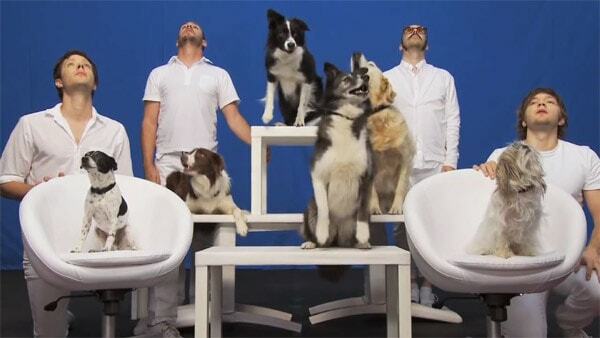 OK Go made a clever music video with a little help from some well trained dogs. OK Go approached training company Talented Animals with an idea for a video in which dogs would be the stars. They wanted something “magical and charming,” according to Talented Animals’ Roland Sonnenburg, “something that has never been done before.” Sonnenburg replied that anything that was physically possible could be done by dogs, so yes, there was no problem with that idea. It was then when Damian Kulash—OK Go’s lead vocals and guitar—told him that the video should be done in one single take, no cuts whatsoever. Take a look at the final music video below and the video of all the outtakes from White Knuckles. Music video by OK Go performing ‘White Knuckles’ with friends. A hiking group started their snowy journey early in the morning. The group spotted a black dog near the trail entrance, which seemed relatively normal given there was a neighborhood directly across the street. As the group started their hike the dog joined them. Watch the video - Friendly Dog Joins Hikers For The Day!